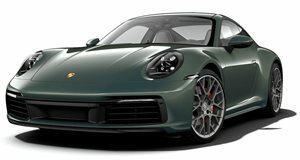 So far, we’ve only seen the new Porsche 911 in Carrera S and 4S guises, but more variants are expected to break cover this year including the much-anticipated next-generation 911 Turbo. There’s also going to be a rare Speedster version debuting at the 2019 New York Auto Show. But what if the new Porsche 911 was made into a shooting brake for the first time in the model's history? Sadly, this isn’t likely to ever happen, but talented artist Rain Prisk has created a convincing-looking digital render showing what a more practical shooting brake version of the Porsche 911 would look like based on the new 992-generation model. It really shouldn’t work, and yet somehow, it does. If you want a practical Porsche, the Panamera Sport Turismo is currently your best option. Starting at $96,200, the Panamera Sport Turismo has 18.3 cubic feet of cargo capacity with the rear seats up and 49 cubic feet with the rear seats folded. The upcoming electric Taycan will also be getting a practical Sport Turismo variant.